So are many of our students. All of our research promotes the impact of aerospace engineering as a science and as a critical component of industry, government, and academia. Below is a list of laboratories associated with the School of Aerospace Engineering and its faculty. This is where much of the work takes place. Each lab brings together multiple graduate students, research engineers, and/or specialized equipment associated with a particular research area. Many of our faculty are also involved in Institute-level collaborative centers, working groups, and labs, listed to the right. To find out more about a particular faculty member's work and research interests, visit their profile in the Faculty-Staff Directory. Located in the basement of Montgomery Knight building and at the street-level entrance to the Weber SST building, the Aero Maker Space is a collaborative learning and prototyping environment that makes a vast array of equipment available to students and faculty. This lab is not restricted to.or used exclusively by, any particular faculty. It is open to anyone in the Institute community who has received the proper training. The Aerospace Systems Design Laboratory conducts research in the design of complex aerospace systems and systems of systems. 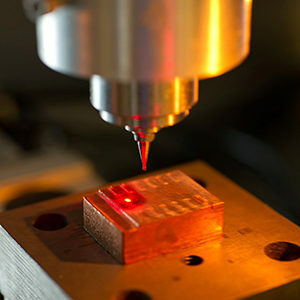 The Aerothermodynamics Research and Technology Laboratory conduct research in computational fluid dynamics for high speed aerodynamics and aerothermodynamics. The Air Transportation Laboratory conduct research in air transportation by simultaneously maximizing the efficiency and minimizing the societal impact (especially on the environment) of the global air transportation through innovations in control, optimization, and system analysis and design. This lab works with other labs on autonomy, investigation of the computational principles related to neural organization, computation, function and/or behavior. The Combustion Laboratory is a multi-million dollar experimental research facility supporting a broad range of experimental research in combustion process for propulsion and energy conversion. A multidisciplinary research center consisting of a network of faculty and students engaged in creating new mobile platform technologies and configurations. The Cognitive Engineering Center examines human-system integration in complex work environments from theoretical and methodological viewpoints, in the field and in the laboratory, and make substantive contributions to practice. The Computational Combustion Laboratory conducts research in computational modeling of combustion processes. This group conducts research within the broad field of computational mechanics of materials and structures. The Experimental Aerodynamics Group conducts aerodynamic research in the various wind tunnels in the Lab. The High-Power Electric Propulsion Laboratory supports a broad range of research in plasmadynamics and electric propulsion for space applications. The M3Lab is focused on the development of continuum mechanics theories, and accompanying numerical tools, for capturing the coupling in these complex systems. We employ a combined theoretical, computational, and experimental effort in characterizing and validating our theories. Led by Prof. Marilyn J. Smith, the Nonlinear Computational Aeroelasticity Lab focuses on advanced numerical methods and engineering analysis associated with unsteady fluid mechanics. This research has many applications and addresses interdisciplinary problems involving aeroelasticity or fluid-structure interaction. Under the direction of AE professor Wenting Sun, the Reacting Flow & Diagnostic group conducts research on combustion kinetics, flame dynamics, and a variety of laser diagnostic techniques on reaction flow systems. The Space Systems Design Laboratory conducts research in the design of space launch vehicles and interplanetary spacecraft. The Unmanned Aerial Vehicle Research Facility conducts applied research and development of autonomous aerial vehicles. The Vertical Lift Research Center of Excellence conducts a wide range of research in rotary wing aircraft technology. The Vibration and Wave Propagation Lab conducts research in the dynamics of periodic structures and wave propagation in structures. Georgia Tech's aerospace engineering faculty and their research teams work closely with the faculty and staff of other Georgia Tech colleges, schools, and centers. Find out more about these exciting collaborations by visiting one of the following sites.